Caroline Clemens studied Science of Communication and Linguistics with focus on phonetics and speech. 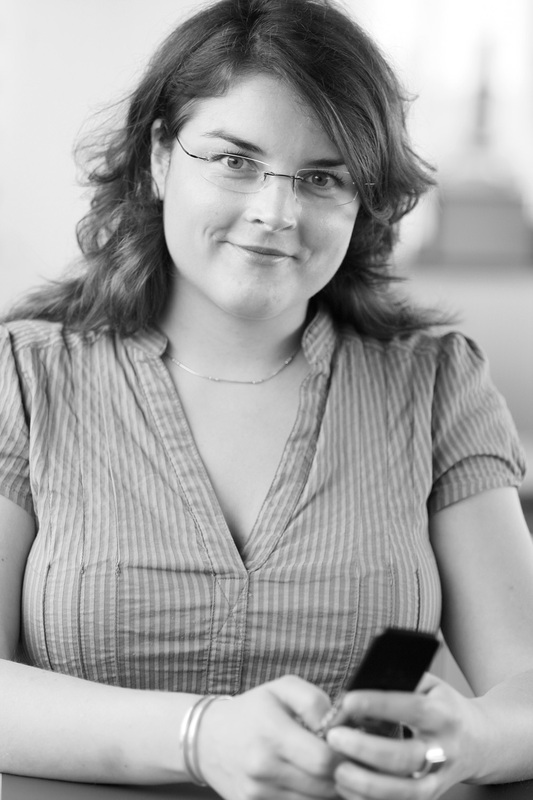 As a spoken dialog designer she gathered experience in dialog design and dialog production at Mundwerk AG. She completed a two-year program of the Femtec university career center for women Berlin GmbH. Her working fields are spoken dialog systems, phonetics and speech research. Her doctoral thesis about spoken dialog systems was supported by Siemens AG, User Interface Design and by the research training group prometei at Technical University Berlin. From 2005 to 2008 Caroline Clemens was member of the scientific board of the Centre of Human-Machine-Systems (ZMMS). Currently she is a research scientist at Deutsche Telekom Laboratories. Clemens, C., Fagel, S. (2005): Articulation Models for Audiovisual Speech Synthesis – Determination, Optimization, Evaluation. In: Speech Communication, special issue. Clemens, C. (2005): Benutzermerkmal-Gewinnung für automatische Sprachdialogsysteme. In: L. Urbas, C. Steffens (Hrsg. ), Zustandserkennung und Systemgestaltung, 6. Berliner Werkstatt Mensch-Maschine-Systeme, Düsseldorf: VDI Verlag. Clemens, C. (2006): Was verraten die Log-Dateien telefonischer Sprachdialogsysteme über die Benutzer? In: Jahrestagung der Deutschen Gesellschaft für Sprachwissenschaft 2006. Bruder, C., Clemens, C., Glaser, C., Karrer, K. (2006): Benutzermerkmale – Workshop zum Thema Technikaffinität. In: Tagungsband der Frühjahrsschule 2006. Berlin. Clemens C., Fagel S. (2007) „Die Nutzung experimentalphonetischer Messdaten zur audiovisuellen Sprachsynthese“ In: Proceedings der 15. Tagung der Computerlinguistik-Studierenden (TaCoS), Stuttgart, 21-38. Metze F., Bauckhage C., Alpcan T., Dobbrott K., Clemens C. (2007) The spree expert finding system. In: Proceedings of the ICSC (First IEEE International Conference on Semantic Computing, Irvine. Das Graduiertenkolleg prometei - Ergebnisse interdisziplinärer Zusammenarbeit im Bereich Mensch-Technik-Interaktion. In Rötting M. et al (Hrsg. ), Tagungsband der 7. Berliner Werkstatt Mensch-Maschine-Systeme, Düsseldorf: VDI. Clemens C., Hempel T. (2008) Automatic User Classification for Speech Dialog Systems. In: Usability of Speech Dialog Systems – Listening to the target audience. Berlin, Springer. Clemens, C., Feldes, S., Schuhmacher, K., Stegmann, J. (2009) Automatic Topic Detection of recorded Voice Messages. Proc. of Interspeech 2009 Brighton, 2009 ISCA, Brighton UK, pp. 872-875. Proceedings of the 10th Annual Conference of the International Speech Communication Association (Interspeech 2009) ISSN 1990-9772. Employee at Mundwerk AG (speech recognition based Telefone applications). My fields of work: dialog flow, storyboard, grammar writing, testing und evaluation. Member of the scientific board of the Centre of Human-Mashine Systems, Berlin.